Manufactured from clear white, borosilicate glass. They offer super clarity, are perfectly flat, and corrosion resistant. 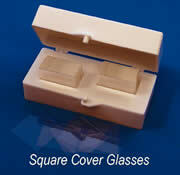 All cover glasses are uniform in size and thickness. GOLD SEAL® cover glass is made from pre-selected, pre-cleaned silicate glass. 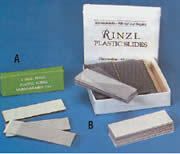 It is available in various shapes and thicknesses and is packaged with desiccants in a lint free box. Both cover glass cases and slide boxes convert to convenient slide storage files. * For use with Bellco Leighton Tissue Culture Tubes, see page 145. 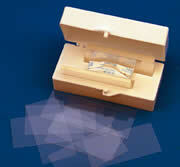 CE certified crystal clear German glass coverslips for cell culture and fluorescence imaging. Tested for cell and neuron cultures. Untreated (pre-treatment required before cell culture). Sterilized by radiation, ready for your own coating. User manual included. Sterilized by radiation, ready to use. Tested for cell and neuron cultures. User manual included. Sterilized by radiation, ready to use. Tested for cell cultures. User manual included. Coated with rat tail type I collagen on top of poly-d-lysine layer. Sterilized by radiation, ready to use. Tested for cell and neuron cultures. User manual included. Coated with fibronectin on top of poly-d-lysine layer. Sterilized by radiation, ready to use. Tested for cell and neuron cultures. User manual included. Coated with natural human laminin on top of poly-d-lysine layer. Sterilized by radiation, ready to use. Tested for cell and neuron cultures. User manual included. There are many applications that require slides and coverslips that have absolute UV transparency, and high temperature properties. EMS now is introducing the highest quality, clear fused quartz microscope slides and coverslips to meet all of these requirements. Finally, your automated coverslipper has the right coverslip to allow it to run smoothly. These "Superslip®" coverslips are designed to work in automatic coverslip machines and humid environments without sticking or jamming up in the middle of a run. These new superslips combine specialized production procedures with our unique moisture-resistant packaging which brings you superior coverslips. NUNC™ Brand Thernanox®, or TMX coverslips are made from a polymer (in the polyolefin family) that is highly resistant to most chemicals. Thermanox® plastic is resistant to alcohols, aldehydes, hydrocarbons, dilute acids (<10%) and dilute alkalis (<2%). 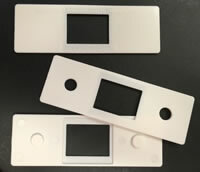 TMX has limited resistance to chlorinated hydro-carbons, however, it is not resistant to concentrated acids or bases.Thermanox® plastic is a flexible, trans-parent polymer that can be sectioned using a microtome and is able to withstand high temp-eratures (temperature range –70°C to +150°C). Thermanox® coverslips are culture treated on one side for enhanced cell attachment and growth. The treated side is packaged face up toward the label. These coverslips are made from pure white glass and photo etched on the surface for a permanent gridded pattern. Reference: Lin, Lin-Fang and Frank H. Riddle, 1981. Photoengraving of Cover Slips and Slides to Facilitate Mounting of Micromanipulated Cells or Chromosome Spreads, Exp. Res. 134:485-488. EMS introduces a simple coverslip with a grid image that allows cells to grow and later be analyzed under brightfield or fluorescence microscopy before being further processed and sectioned for EM or other analysis. These unique coverslips do all that. All of the coverslips are produced on a polyester based film, 0.18mm thick, 22 x 22mm, 25/box. 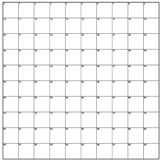 All other grid sizes and film sizes are available upon special order. High definition 300mm scale in 0.1mm divisions with extended 0.5mm, 1.0mm and 5.0mm lines to allow calibrations in those increments too. 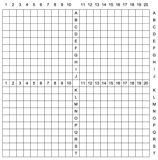 Series of dots and crosses, at 10mm intervals, included for calibrations where these shapes are preferred. Supplied in polished wooden case. High definition 150mm scale in 0.1mm divisions with extended 0.5mm, 1.0mm and 5.0mm lines to allow calibrations in those increments too. 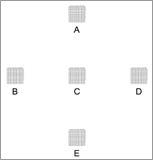 Series of dots and crosses, at 10mm intervals, included for calibrations where these shapes are preferred. Supplied in polished wooden case. 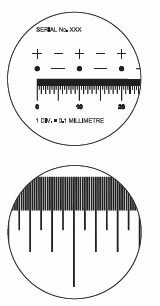 High definition 100mm scale in 0.1mm divisions with extended 0.5mm, 1.0mm and 5.0mm lines to allow calibrations in those increments too. Series of dots and crosses, at 10mm intervals, included for calibrations where these shapes are preferred. Supplied in polished wooden case. *For high heat applications (Temperatures up to 100°C), we offer our special material PVC-2R. The only downside of this material is that it possesses less clarity at high magnification. The single version, which is designed to hold a pair of cover slips, generally of fixed material, often in gel mount. It allows a specimen to be viewed from both sides on a confocal microscope. The second version is similar to the first, but in place of it being a single plastic holder, two systems are snapped together and hold a coverslip sandwich in place without the need of any glue. This version holds living material between the coverslips, generally in water. Both are reusable and made from white ABS plastic. Total slide dimensions: 3" x 1" x 0.045"